Editor’s Note: The following guest post comes from Sanjeev Verma, CEO of of Biz4Intellia. The network of IoT devices, sensors and software are transforming the oil industry at a rapid pace. In the following article, Sanjeev is going to share with us his perspectives on how the Internet of Things is powering oil industry. Midstream is the most important segment in the oil & gas industry because it links the upstream (exploration & production) and downstream (refining and distribution to the end customer) segments. The recent surge in crude oil price differentials has repositioned midstream as a segment whose infrastructure planning capabilities are crucial for the market growth opportunities of upstream companies. Transportation is a big part of midstream activities (Oil Supply Chain) and can include the use of pipelines, trucking fleets, tanker ships, and rail cars. Though pipelines are the safest way to transport oil. But like it or not, trucks will always remain into the picture when it comes to the crude oil distribution. Yes, truck transport is crucial, but at the same time, it is dangerous as well. Just because trucks carry comparatively small loads compared to pipelines or trains, there aren’t many big stories or oil truck accidents. It is a noticeable fact that trucks are involved in almost all the gallons delivered to consumers. The personal injuries from truck accidents are long-winded than trains, but add up to more accumulated injuries and deaths. Truck along with petroleum products and injury or death is relatively common. According to McKinsey, IoT will have a potential economic impact of $930 Billion in the Oil & Gas and Mining by the year 2025. It is no surprise that the Oil & Gas industry is eager to leverage IoT technology. Whether it is the Power Plants, Point of Sale Stations, or Airports, the Internet of Things technology brings many opportunities for the entire oil supply chain. IoT brings transparency in oil and gas transportation operations and makes them more efficient and secure. It is a tricky task to transport the materials which can be dangerous to the public and infrastructure. The routing abilities that the IoT technology brings ensure that your fleet doesn’t travel on roads which are prohibited for oil transportation. These capabilities are useful in directing the trucks away from highly populated, high crime, or environmentally sensitive areas. All you have to do is pick up the available routes and go. The GPS tracking capability allows you to know the real-time location of any truck and the location history as well. With more transparency into your route management, you can optimize the routes efficiently. 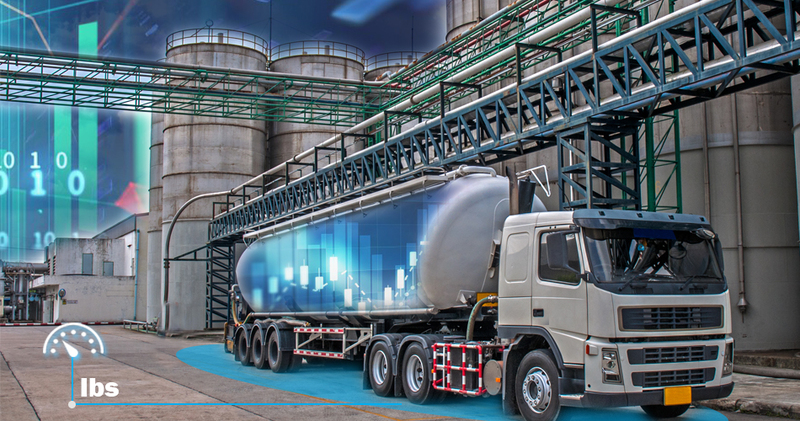 The Industrial IoT brings the capability to monitor the weight of your oil transporter in real-time, which makes the last mile delivery of your petroleum products cost-efficient and transparent. You can keep track on how much oil the carrier has delivered to any filling station. Here comes the essential element of the oil supply chain, the fleets. The extraction and the consumption of petroleum products take place in different geographical areas, and the fleets of trucks help oil companies to deliver the products where they are demanded. Now, the problem with the traditional approach of fleet management is the lack of transparency into fleet operations, thus resulting in delivery delays, spendthrift fuel consumption, road accidents, etc. 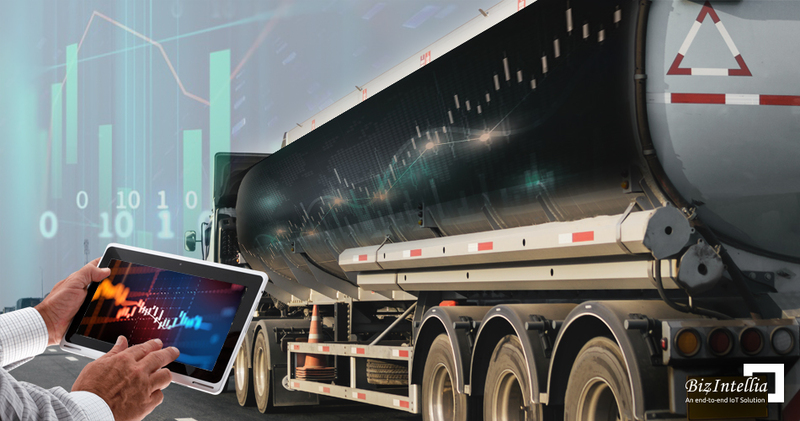 The IoT technology empowers the fleet managers to analyze every facet of their fleets. With real-time data from the sensors, fleet managers will be able to monitor driver activity, vehicle location, fuel consumption and many more. Another exciting feature that IoT utilizes is Geofencing. You will know when a truck has departed from the oil terminal and when it reached the destination. You will also know how many trips a truck has made in a span of time. Yes, the connected devices bring the capability to monitor the real-time fleet operations, but the treasure lies in the data. The data analytics features bring out meaning from the historical ingested data. For example, using the trend analysis, you can optimize your future fleet operations. Future of the Oil and Gas industry is incorporated with the technology, and the IoT technology seems to be the one who can take this industry to greater extents. The safe and cost-efficient business operations will help oil companies to deliver their petroleum products to the consumers at low cost.